A portrait of Hugh George Scallon can be seen on the right. 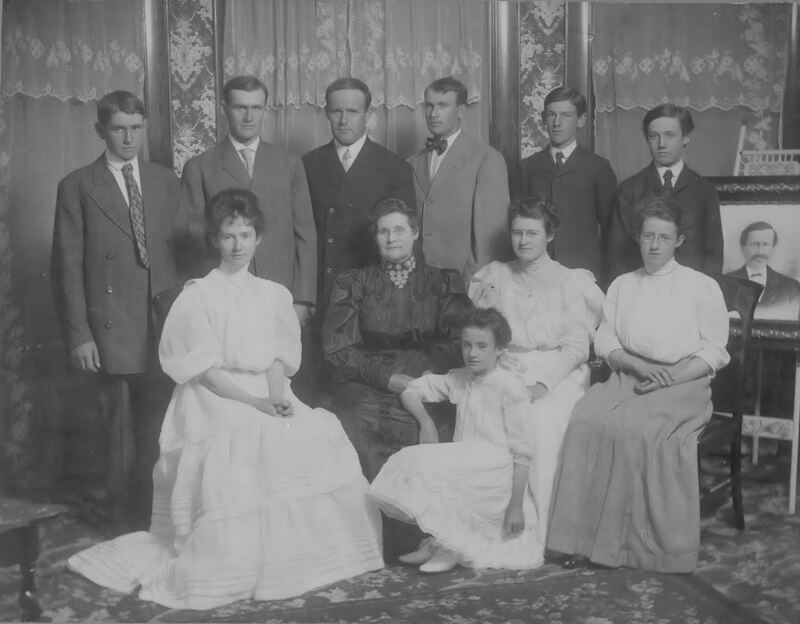 This family portrait was taken in 1902, the year after Hugh George died. on his farm northeast of Ackley, Iowa. This photo is from a xerox copy of a photograph.